JoJos Replay talks sports, culture, & music with a style on JoJo can bring you baby!! Tune in every week as JoJo talks the hottest sports topics all across the globe as well as sharing her everyday experience in this crazy world we live in! JoJo talks the culture if the Dallas Cowboys & why it needs to CHANGE NOW!! We talk NBA as well!! Don't miss the Word of the Day & more!!! 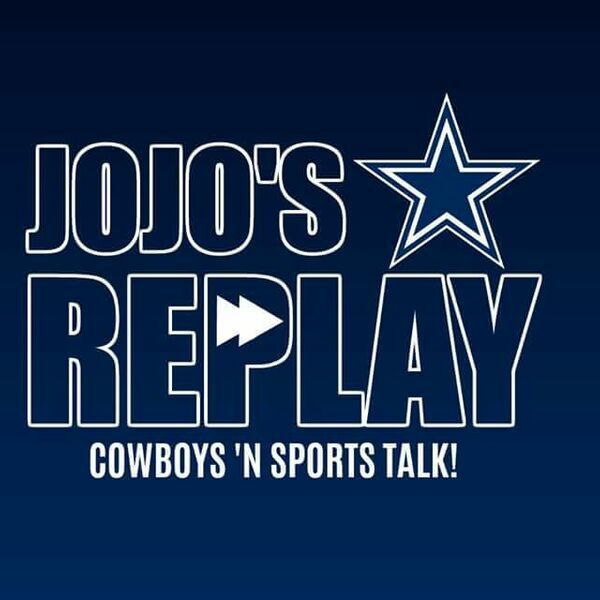 JoJos talks off season moves for the Dallas Cowboys, NBA action & more!! It's been a minute but the podcast is back baby!! JoJo talks Cowboys, NBA & more!!! Don't miss out baby ... Todays' show will be FIRE!! Today Toni & JoJo catch you up on what you have missed the last few weeks!!!! All content © 2019 JoJos' Replay Podcast. Interested in podcasting? Learn how you can start a podcast with Buzzsprout. Podcast hosting by Buzzsprout.